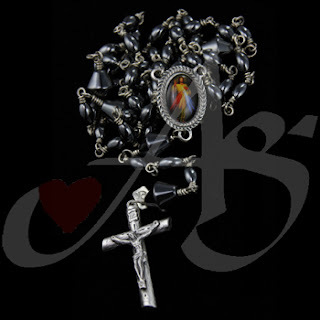 Another rosary for a MAN of God - great spiritual tool. 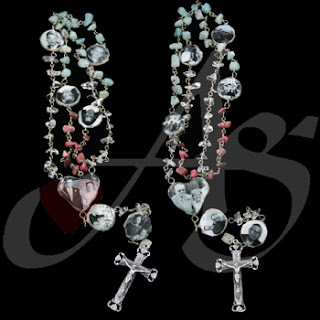 The hematites and heavier gauge wire give the rosary weight and super strength. 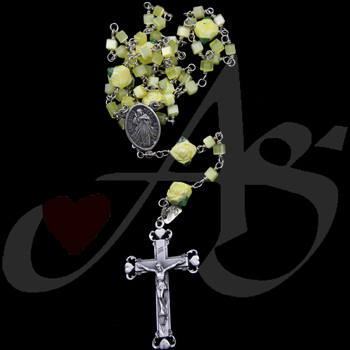 The beads on this rosary are hexagonal which give it a nice finger space for each bead. Another great Christmas present from dad to son! Enjoy! 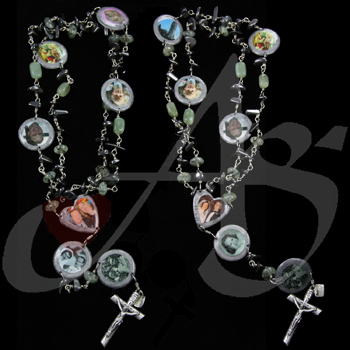 I try to make all the manly rosaries slightly different so that each is unique. It is a challenge in finding different beads and mixing the combination. But nothing substitues the wonderful feel of the iron hematite giving the rosary it's weight - with the strength of the 20g wire. 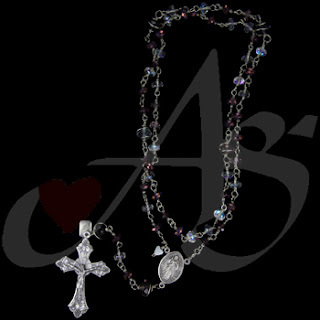 The trick is to wrap the beads tightly so the stone beads don't spin - thus causing a cut through the wire. 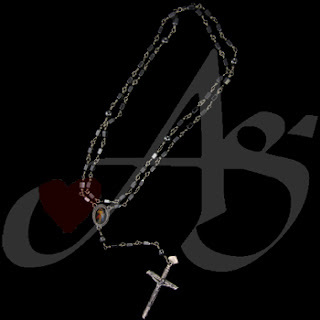 The rosaries are definitely a 'guy' rosary but still are beautiful. Enjoy! Good Friday morning! 2nd Friday of Lent! 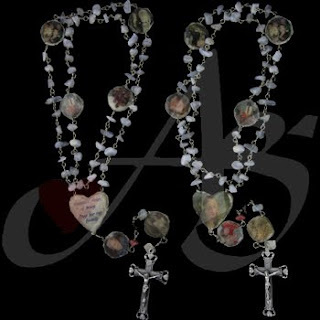 Hand made manly rosaries commssioned by the same dad to give to his sons for Christmas. The theme for all 6 is manly rosaries; all heavy hematite wired w 20g nickel in the same fashion as the daughter's rosary but w heavier wire. 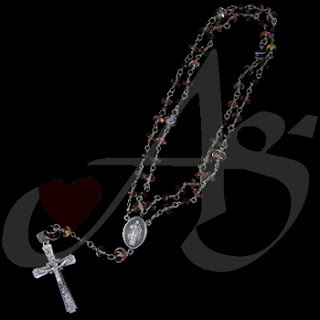 I realized there is a great need for a 'manly' rosary - very strong w weight. 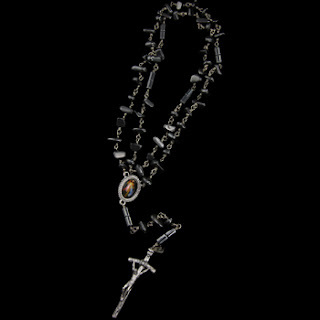 A weapon of prayer! 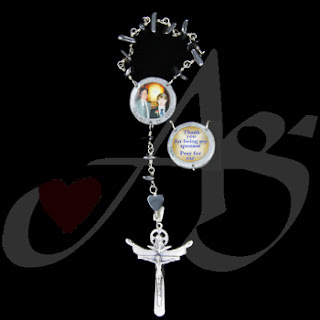 Here is another Christmas gift for a mother/grandmother offering images of her past and present family. Images are in black and white giving it a vintage feel. The stones represent the child's birth stone w family image for each Our Father. A true heirloom! Enjoy! 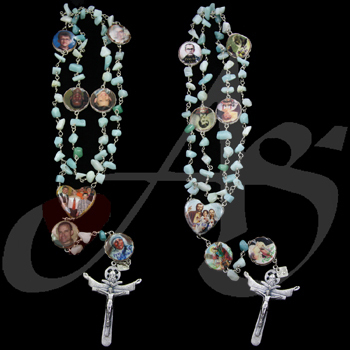 Here is a family rosary given as a Christmas present complete with family photos encouraging prayers for each person and their needs. 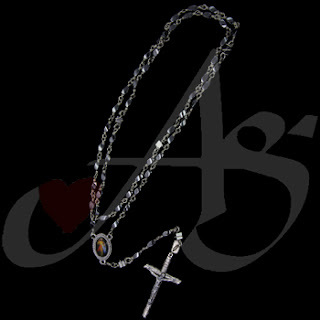 All hand made and twisted w/ extra wraps for durability! 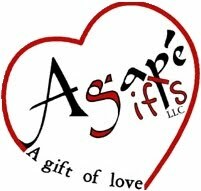 GOOD MORNING AG blog Family - sorry for all the delays in receiving daily picks - between computer problems and family health issues we let January get behind us... okay New month new attempts! 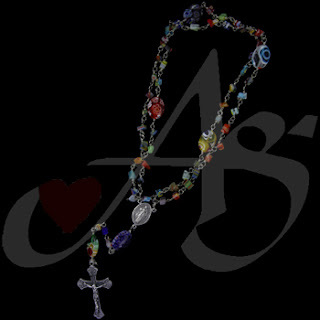 We will return to the love of all the people who made special Christmas surprises... we will continue with rosaries. 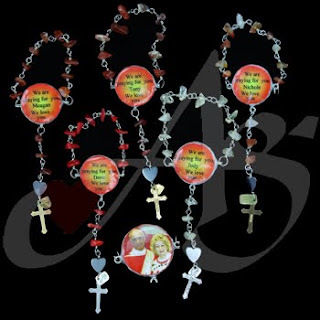 All the rosaries posted where Christmas surprises and some 'stings'. Enjoy - it was fun to be part of the joyful moment. Those who have the rosaries don't forget to get them blessed!! HAVE A GLORIOUS DAY IN THE LORD!